Over the weekend, Malaysia’s Chief Minister, Datuk Patinggi Abang Johari Tun Openg, officially opened the St Joseph’s International School, a member of the St Joseph’s Family of Schools. The school’s principal, Brother Paul Hough, said the school started operation in January 2017 with approximately 100 students, but the decision was taken to wait until the purpose-built campus was completed before officially opening it. And for many parents, it has been worth the wait. 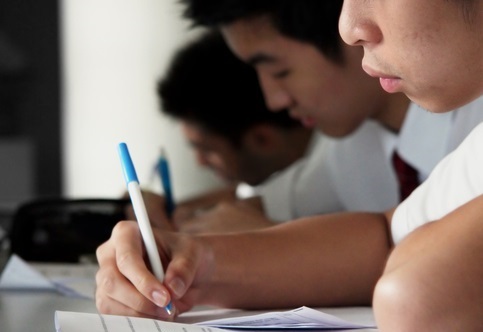 Not only is St Joseph’s one of the only Catholic international schools in Malaysia, it is by far the most affordable. “We charge $2,500 per year. Most other international schools charge around $10,000-$20,000 per year,” Brother Hough told The Educator Asia. Brother Hough said the decision to offer such low fees came from the Archbishop who wanted to provide middle-class parents with greater access to international education. The Archbishop didn’t like the idea of limiting international education to wealthy parents,” Brother Hough said. The school offers a range of popular programs, including an “unheard of” sports afternoon which is held every Thursday and includes activities such as swimming, soccer, touch football and athletics. “Since introducing the sports afternoon, we’ve seen incredible uptake among the students, whose health and happiness has improved massively,” Brother Hough said. Another area in Brother Hough’s sights is the improvement of students’ English language skills, which he said is a “big challenge” for many Malaysian schools where students predominantly speak mostly Bahasa or Chinese. “We’ve seen massive improvements in students’ English skills, particularly since we offered a special intensive course last year. This involved students learning English for four hours a day, five days a week for a total of 10 weeks – and it worked,” he said. In conjunction with the school’s official opening over the weekend, it launched its Cambridge International General Certificate in Secondary Education (IGSCE) and Cambridge A-level programs. “In October, our Year 9 students will do checkpoint exams for Cambridge, which will be our first real international check as to what standards we have here,” Brother Hough said. Brother Hough said another area he is watching closely is staffing and professional development. In 2017, the school started with eight staff but has taken on an additional nine this year. “For most of them, I’ve been very pleased with how they’ve grown in their roles. To improve further, we have a Cambridge diploma course being done part time with six of our teachers,” he said. Brother Hough said that, on the whole, the school is seeing a promising expansion. “Last year we had three Year 7 classes of 25 kids and one Year 8 class of 25. This year we have three Year 7 classes, four Year 8 classes and one Year 9,” he said. Brother Hough said he wants the school to have a greater focus on Project-Based Learning (PBL), a process that will be helped along by St Joseph’s Marist schools, located in Perth, Australia. “We have some teachers from these schools who will visit and help develop our staff’s understanding of PBL,” Brother Hough said.